This beautiful silvery/grey seabird with red bill and legs feeds by diving into the sea to catch its prey. 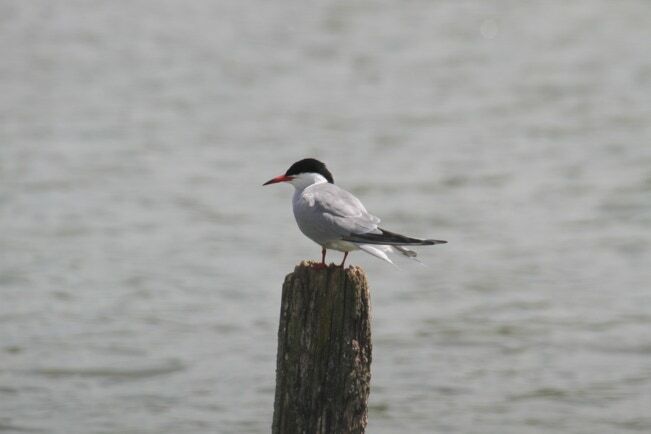 Very similar to the Arctic Roseate and Sandwich Tern this is our most common. They lay up to 3 eggs that are incubated by both parents and eggs hatch in approximately 22 days.They fledge after 25 days. rats birds owls and herons. They are 32cm in length with a wingspan of 77 to 98cm and weigh in at between 90 and 150g.